DRMR is having well furnished 12 double bed room one VIP and one dormitory (four bed) airconditioned accommodation facilities. Modern Comman Hall, neat and clean kitchen and good space for parking of vehicles of guests. Accommodation charges are as per ICAR norms and guidelines. DRMR is also having a well furnished Krishnika farmers guest house with double bed room and dormitory (four bed) accommodation facilities. 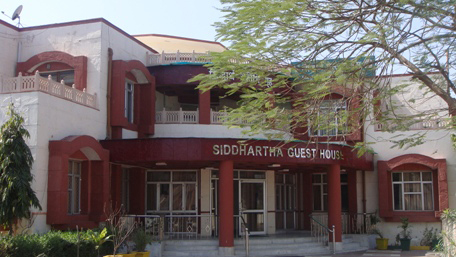 Comman Hall and good space for parking of vehicles of guests. Accommodation charges are as per ICAR norms and guidelines.